Before we plunge into the discussion of how to use a shaving cream, it is important that you understand the types of shaving creams that are available. Two types of shaving creams, namely brushless and lathering, come with their own particular set of characteristics. Brushless shaving creams, as their name implies, do not need to be brushed. These creams do not form lather; all it takes is squeezing some out and applying onto the face. 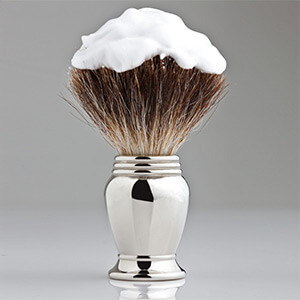 Lathering-type of shaving creams requires a shaving brush to be able to create the rich lather for shaving. Regardless of the types of creams available, why are they used in the first place? 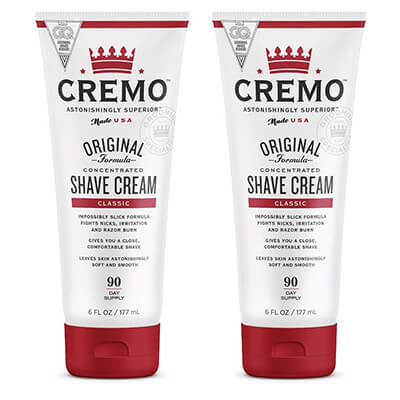 Superior shaving cream that fights nicks and razor burn. Creates a rich, thick lather for a close and comfortable shave. Protects the skin from irritation and razor burn. Why Do Men Use Shaving Creams? Simply put, by using a shaving cream, men make the actual process of shaving smooth and easier by ensuring that the skin is well-lubricated to allow the razor to slide over the skin. This lubrication offers many advantages: a smoother shave, fewer chances of razor burn or any irritation. Below is the list of the best shaving creams (in our opinion) you should consider first. 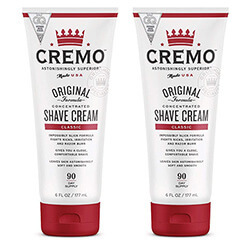 Cremo Shave Cream is different from the ordinary shave creams. It contains unique molecules that become very slick when mixed with water. This way it fits any blade you may use. You’ll enjoy a super close and comfortable shave without any nicks, razor burn and irritation. It is indeed not just shave cream. Barber Grade Shave Cream. 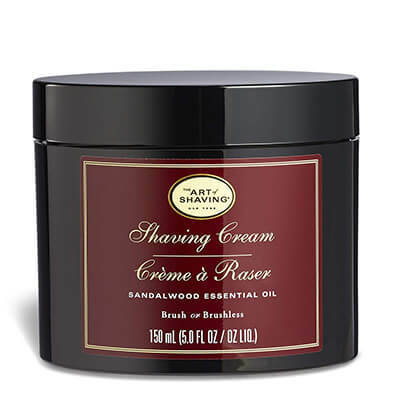 The formula of this shave cream contains the essential oils, such as sandalwood, lavender, rosemary, cedar, rose, jasmine. This cream is made only from natural ingredients so it fits even for men with a very sensitive skin. You will easily create an abundance of luxurious lather. 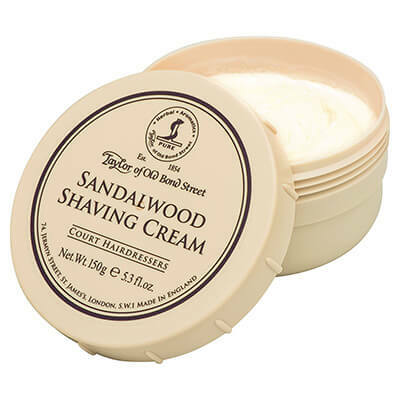 With over 4000 positive reviews Taylor of Old Bond Street shaving cream sits among the bestsellers for years in a row. Glycerin helps the blade glide smoothly and reduce razor burn and rashes. 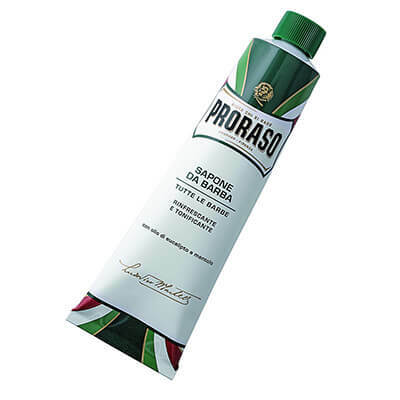 Proraso cream is made with a special “hot soap” process, it’s left to mature in small batches for 3 days, producing an extremely thick and creamy soap. 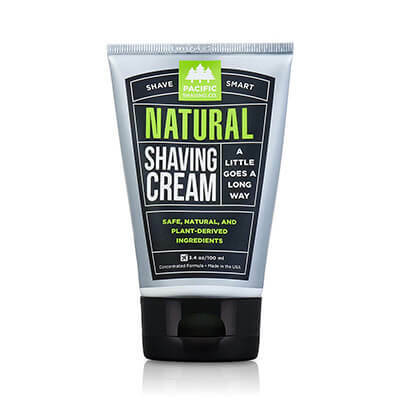 This shaving cream is made from organic, safe, natural, and plant-derived ingredients. Most of the men who have used it agree that this is simply one of the best shave creams for men (or women). It is very economically affordable. As a manufacturer says, A little goes a long way. And it is true. The Art of Shaving is one of the leaders in wet shaving industry. This shaving cream proves this. Rich with glycerin, coconut oil, and essential oils, the shaving cream leaves your skin smooth and moisturized. It can be lathered up with a shaving brush or with fingers. Great choice for any skin type. When preparing for a shave, your shaving brush should be soaking in warm water in your sink to get the bristles nice and soft. Alternatively, you could also hold the brush under hot running water for some time. The next step requires that you get your beard (or mustache) ready for shaving. Has your facial hair saturated with warm water to make them soft and ready? Depending on the thickness of your hair, apply the appropriate quantity of shaving cream onto the brush. Around three-quarters of an inch of cream does the trick in most cases. Begin whipping your brush into the shaving mug in order to get the shaving cream into a rich lather. How much you need to whip will depend on the type of shaving cream you use, but you should be able to tell when the lather is ready, nonetheless! Once you have a rich lather, use the brush to apply it to your face evenly. The whole purpose of applying the cream (now lather) is to help in getting a smooth shave, so make sure you apply it thoroughly. Choosing the right shaving lube is not an easy task for any man. In some instances, you choose it. While in others, it chooses you. So which one is the best? It would all depend on what type of skin you have. Shaving foams are sometimes known to dry the skin more as compared to shaving cream or soap. However, foams are generally cheaper. Creams, on the other hand, provide the richest lather of all, especially when applied using a shaving brush and generally cause no dryness in particular. Soaps do not have as many scents or other chemicals added to it – which makes them suitable for people with sensitive skin. So the choice is yours. Whatever you choose – shaving cream, foam or soap, safety or straight razor – Mister Shaver wishes you pleasant shaving. What do you use? Shaving cream, foam or soap?